But you still need to prepare in order to buy a home. So you are ready to move or buy that first home, with just a little preparation this process can go smoothly for you. Get Pre-approved - Shop several lenders and shop them early. You will not be obligated to use any lender but you will want the best terms. You don't want to have your credit putlled with more then 3 lenders other wise your credit score takes a point hit. All Indianapolis Realtors must have a prequalification letter to put an offer on a home. Get pre approved before you start shopping for a home or setting appointments to view. Location, Location, Location - Choosing a location in your area of choice to live. Is it convenient to the schools you want? Hows the commute to work? Shopping? Restaurants? Neighborhood amenities, sidewalks, pool, hike and bike trails. What are you looking for in an Indianapolis community? Small town, small community school vs urban schools? What are you looking for in a neighborhood? HOA Rules, what are they and are the rules important to you? 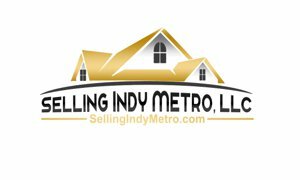 There are many things to consider when buying a home in the Indy Metro Real estate market area. We can set down and help you in your search and offer tools to help with the home buying search as well as process. Found It - When you find the home you love, you will want a cma on the neighborhood to see what has recently sold. The recently sold data can let you know what the values in the area are and help you to put in the right offer. Full bricks home with newer roof comes with laminate flooring. Listing courtesy of Rhino Realty Llc.